A proven technology in Europe, these Dallas entrepreneurs have adopted robotic lawn mowers to form a company that's the first of its kind. DALLAS – You’re probably used to asking Siri for your calendar on your phone, or getting Alexa to order the laundry detergent from Amazon. Heck, you might even be a little advanced and have Wi-Fi-enabled light bulbs or security systems in your house. But what if your “smart home” reached beyond your home’s walls and into the yard? 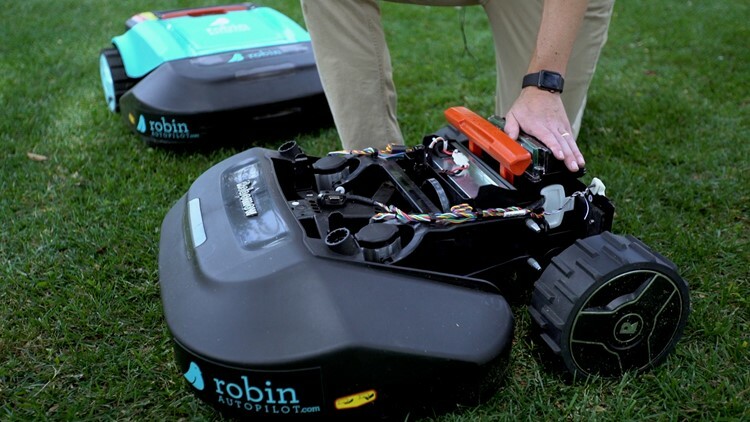 If it’s up to Dallas-based start-up Robin Autopilot, robots mowing your lawn will be common practice sooner rather than later. 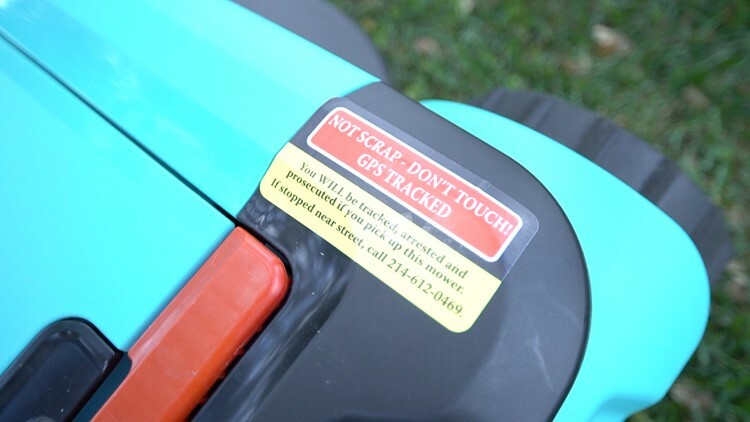 Bart Lomont – an Air Force veteran who moved to Dallas to be with his SMU-grad wife – and business partner Justin Crandall launched the world’s first robotic lawn care service. It started in 2015 as an “Uber-for-Lawns” business model, but the duo sold their gas-powered equipment just over a year ago to become a service built around robots. 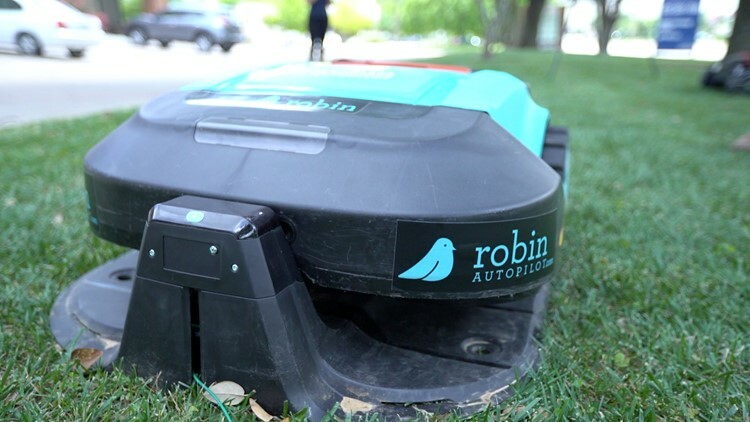 If you sign up for Robin Autopilot, the company will send someone to your house with a sewing machine-type device that will bury a wire an inch-and-a-half to two inches deep in the soil beneath your lawn. That wire acts as an invisible fence to keep the robot in your yard. At a Robin customer’s home, you’ll see the Roomba-esque mower zig-zagging across the yard once a day until it’s finished. You’re also likely to see passersby taking a photo or two, or hearing its owner call the robot by a made-up name: “Mowzilla” was the example Lomont had heard. Depending on your address, the service will run you about $20 per week – it’s $22 per week in Lomont’s neighborhood just north of Love Field – for the robotic mower to operate daily. If you want your edges and trimming done, it’ll cost you more. Worried about kids and pets? If the robot runs into anything five pounds or heavier, it’ll bump into it and turn around, just like a Roomba hitting a couch leg. The motors also turn off automatically within one second if the robot is lifted off the ground while operating. So, why robotic lawn mowers? Lomont and Crandall encountered two issues with their initial business plan: Human nature and Mother Nature. Weather delays and the ebbs and flows in the reliability of mechanical pieces and their human operators equaled too much lost business for the entrepreneurs’ liking. The search for ways to eliminate those losses led them to robots. It may not have the same political implications as the Space Race, but the U.S. is also a step behind their European counterparts in the robotic lawn mowing industry. Research primarily in the Benelux region of Europe – Belgium, the Netherlands, and Luxembourg – found that there were already millions of robots mowing lawns there. Lomont said there were more battery-powered mowers in Germany than there were gas-powered. So Crandall and Lomont decided to bring the proven technology across the pond. It’s a billion-dollar industry in Europe, and Lomont forecasts the same for the U.S. in the coming years. Lomont says, with a little American ingenuity – Robin added GPS technology to the product found in Europe – there’s room to grow beyond our friends on the other side of the world. A big selling point of the battery-powered mowers is the fact that they’re emissions-free. Pushing a gas-powered mower for an hour is like driving a car for 11 hours, Lomont claims, because smaller engines like lawnmowers haven’t been hit with the same regulations as cars. The Robin founders landed on Shark Tank, the TV series launched years ago by Dallas Mavericks owner Mark Cuban in which entrepreneurs seek investments from some of the country’s most successful business moguls. 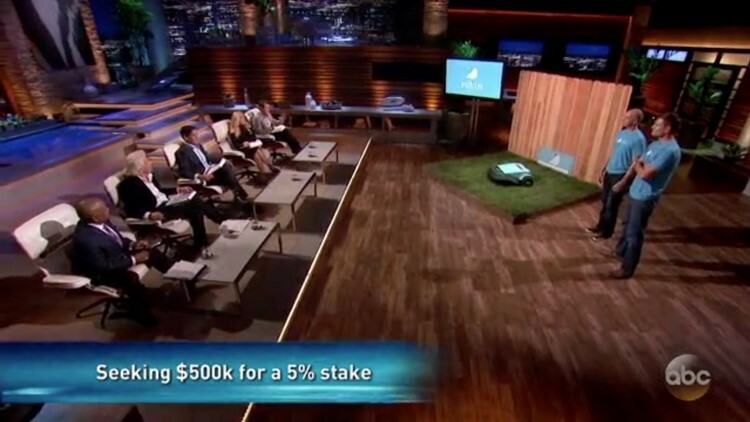 Lomont and Crandall pitched their business as one that would “revolutionize lawn care” during the November episode, but didn’t get any bites from the Sharks, who cited a lofty $10 million valuation and a lengthy timeline for growing the scale of the business. Lomont says the company was getting 1,300 clicks per second on its website during the Shark Tank episode. The experience was a literal game-changer for Robin, which shifted a focus after appearing on national TV. “It helped us realize, that, if we were going to expand nationwide and really harness some of that interest from across the country, we needed to move into a franchise model,” Lomont said. They received more than 700 leads for potential franchisees after Shark Tank. They started offering franchises in February and signed their first franchisee in April. And, while they only had three franchisees on board when WFAA spoke to Lomont, they had plans to get that number to double digits in June – and the company recently landed $1 million in additional funding to accomplish that. Despite leaving empty-handed, Lomont credits the show for putting Robin on the map. Want to own a franchise? Expect a “discovery process” and an up-front fee for exclusive rights to a territory (a certain amount of zip codes in a given market), and then a royalty fee. In exchange, Lomont says, you’ll get access to all of their knowledge and resources, including weekly webinars for franchisees to learn more about the robots and the business side of things. Lomont equates it to stealing a satellite dish – you need a service package to operate one of the robots, rendering it utterly useless. Plus, the GPS tracking we talked about? It’ll know where you are. A warning is placed on each mower advising people not to steal it.